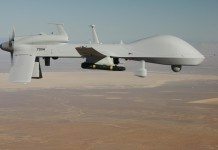 Washington: Unmanned aircraft likely represent the future for US military aviation with next generation bombers and fighter planes operating without pilots onboard, the top US military officer said on Thursday. “We’re at a real time of transition here in terms of the future of aviation, and the whole issue of what’s going to be manned and what’s going to be unmanned,” Admiral Mike Mullen, chairman of the US Joint Chiefs of Staff, told a Senate hearing. “I think we’re at the beginning of this change,” Mullen said when asked about plans for developing a new bomber aircraft. 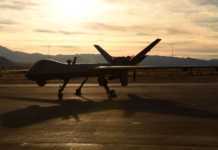 The use of drones has dramatically expanded just in the past few years, he said. Defense Secretary Robert Gates told the same hearing that military planners needed to answer the question whether a new bomber would have a pilot in the cockpit or operate as unmanned aircraft. 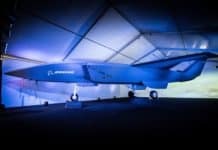 Appearing before the Senate Armed Services Committee, Mullen said that Lockheed Martin’s Joint Strike Fighter now being built could be the last manned fighter jet before robotic planes take over that role. 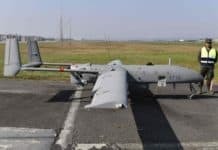 The US military and intelligence agencies now use thousands of drones, ranging from small one meter (three feet) long aircraft that can be thrown into the air by hand to the larger Global Hawk with a wingspan of 35 meters (116 feet), in Iraq, Afghanistan and elsewhere. 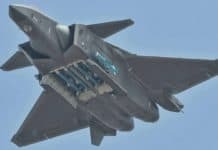 Although Gates has pushed for cuts in expensive weapons systems — including plans for expanding the fleet of F-22 fighter jets — his proposed budget for fiscal 2010 calls for increasing funding for unmanned drones, including Predators and the newer Reapers. “This is one of the significant growth areas in the budget,” Gates said. The defense secretary’s budget calls for spending two billion on intelligence, surveillance and reconnaissance support for troops in Iraq and Afghanistan, with much of the money going to drones. “We will ramp to build 48 Reapers a year during this budget,” Gates said.